We will be marching through the streets of London with the hope of promoting awareness for endometriosis and the need for faster diagnosis, greater education and more funds for research into better treatments and an eventual cure. If demand is very high we may need to close the registration so please register your place as soon as you can! For the second year running, women and their supporters across the globe will be taking part in a peaceful march about the plight of those who suffer from endometriosis. We really hope you will be part of this event that Endometriosis UK is supporting. On Saturday 28 March 2015 between 12noon and 3pm (GMT) we will be marching through Central London including Victoria Embankment, Parliament Square and Trafalgar Square. This is the chance for all of us suffering from endometriosis or supporting someone who suffers to come together and make our voices heard, feel involved in high profile awareness raising and just meet other people in the same situation. This march is free of charge to join however, it’s important to note that all participants taking part are responsible for their own health and safety. Once you have registered please send a request to join our Facebook group (closed) - Worldwide EndoMarch UK 2015, which will be used for sharing details nearer the time and for attendees to ask each other questions. 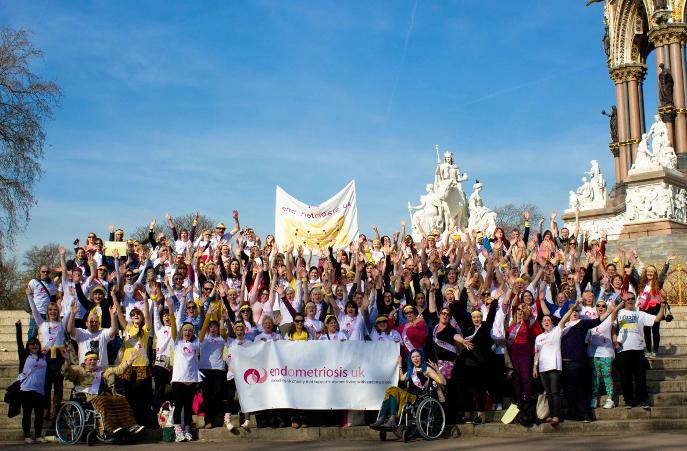 Finally we would like to invite you to help raise awareness of Endometriosis and the Worldwide EndoMarch 2015 by sending a letter to your MP and / or GP requesting their support. The letters can be found below. Join us in person or in spirit and help raise awareness! Contact us today at mwm@endometriosis-uk.org.